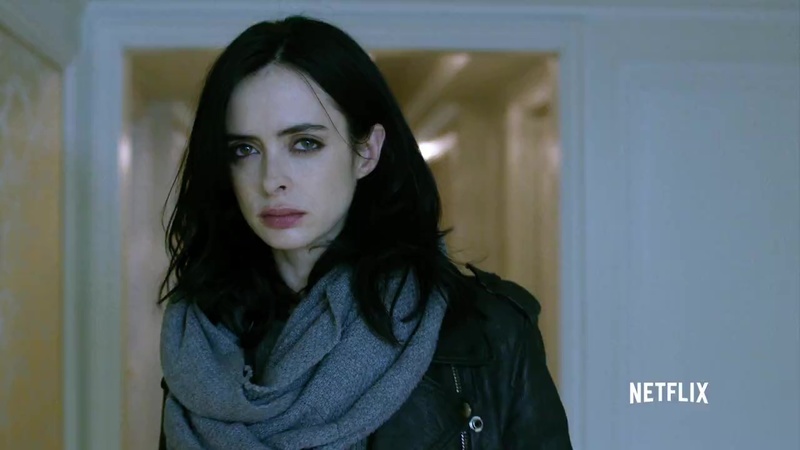 I know nothing about Jessica Jones. She isn't from Marvel's deep history of characters. In fact, her first appearance was only in 2001. But if this trailer is any indication, consider me excited for it. With the success of Daredevil, I'd say the Marvel Cinematic Universe on Netflix is starting off very nicely. Here are a few things to take away from the trailer. Krysten Ritter, who is most known from her roles in Breaking Bad and the short-lived Don't Trust the B---- in Apartment 23, stars as the title hero, who also happens to have super powers. In the trailer she demonstrates super strength by lifting a car and throwing some people around, and the ability to leap tall buildings... well, she leaps to a fire escape so that's something. She also has a penchant for booze like Hancock did. 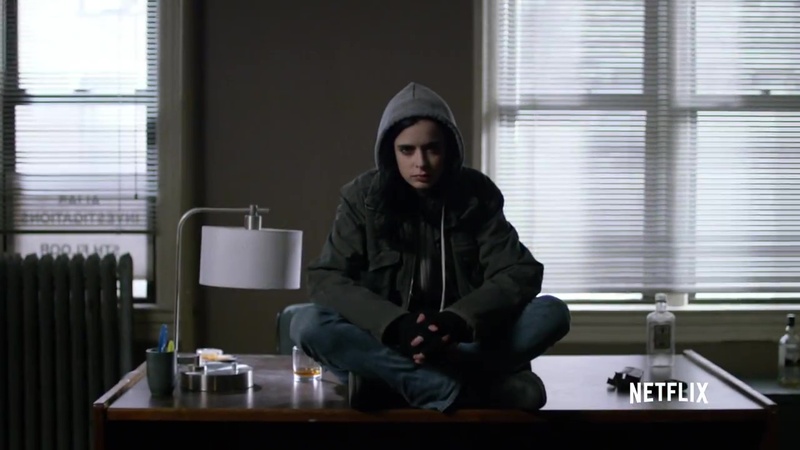 According to her character bio, Jones came into contact with chemicals that gave her super powers, much like Daredevil. It looks like she used to be a superhero but now works as a private investigator trying to recover from something traumatic that happened in her past. 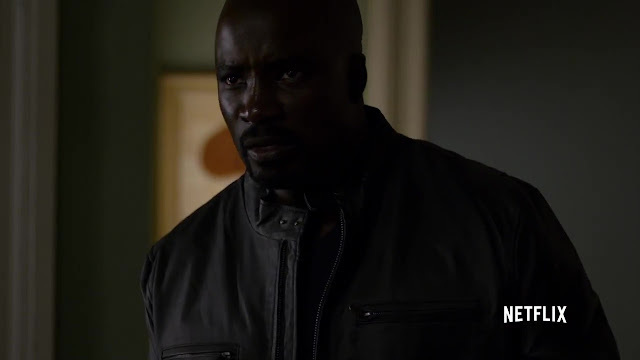 Mike Colter, who will first be seen as Spartan Locke in Halo 5: Guardians, plays Luke Cage, another super powered hero. He's aware of Jones' powers and cautions her about using them for heroic purposes. His caution is a clue that he is unwilling to use his powers for fear of being targeted. His story is almost certainly being saved for his own series next year. David Tennant from Doctor Who plays the villain, Killgrave, also known as the Purple Man. But c'mon, Killgrave is a scary enough name on its own! Anyway, he has the power of verbal persuasion, or Jedi Mind Tricks if you will. In the past, he forced Jones to do something horrible which affected her greatly. Now he's back and Jessica has to stop him. But how do you stop someone who can control you and is inside your head? I'm getting a very big Batman-Joker vibe here. An early screening of the first episode at New York Comic Con received very positive feedback praising Ritter's performance and the series' tone. I'm looking forward to it and it's less than a month away. 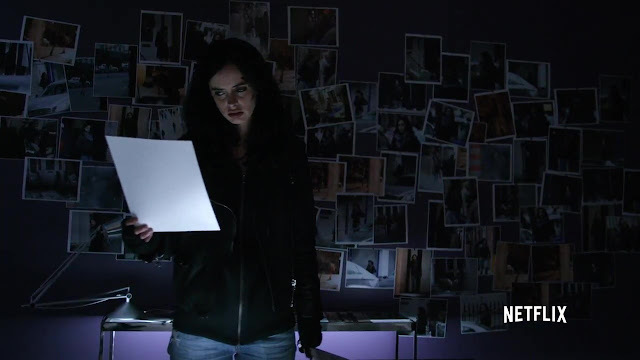 You can binge-watch all 13 episodes of Jessica Jones when it hits Netflix on November 20th.